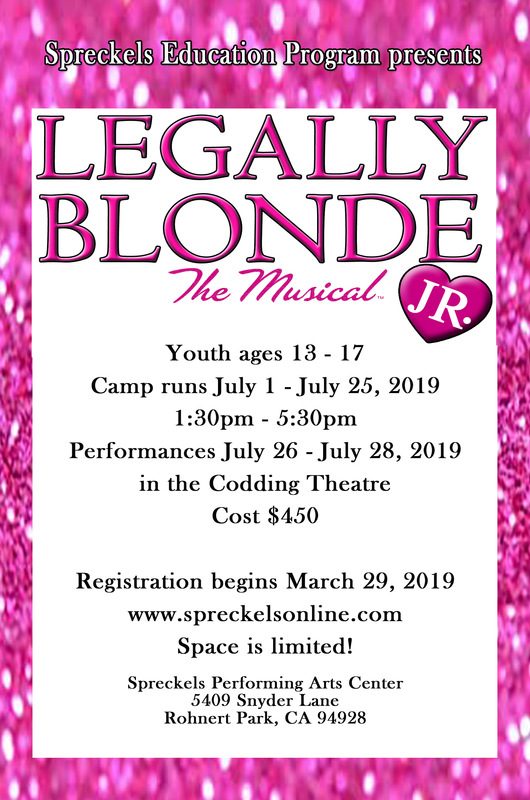 Education Program Camp - "Legally Blonde Jr. The Musical"
*This show has only wheelchair and/or specifically held seats available. Please call the box office at (707) 588-3400 if you have any questions. The wheelchair positions should not be selected by patrons who are not using wheelchairs.